The fields of gerontology and geriatrics deal with providing physical and mental care to elderly people and include the biological and psychological study of aging. Professionals working in this field also examine the changing social dynamics and sociological changes associated with aging. Gerontology is a vast field that includes the study of various biological, physical and mental changes in older people. Subjects such as biology, sociology, psychology and therapy are the main areas of gerontology. Geriatrics is mainly concerned with healthcare and providing medical assistance to the aging population, and as such is also considered a sub-field of gerontology. Due to the rapidly increasing number of elderly people in the United States, and around the world, numerous opportunities are arising for professionals in geriatrics and gerontology. In addition to people who aspire to become social welfare workers, the fields of gerontology and geriatrics also attract nurses, therapists and other aspiring healthcare workers. Numerous university degrees and certification programs in geriatrics and gerontology are offered to students across the country. These include associate’s, bachelor’s, master’s and doctorate degrees in geriatrics and gerontology or related fields. While there are no special educational prerequisites for these programs except a high school degree or GED, people aspiring to make careers in geriatrics and gerontology need to have a compassionate nature and should be able to put other people’s needs before their own. They need to genuinely care for the older population, and understand their patients’ specific needs. Additionally, good communication skills, basic medical knowledge, physical therapy skills and first aid training go a long way in this field. Most students who enter this field normally start off with an associate’s degree in gerontology, which is a two year program offered at most universities and community colleges. This program includes a number of general education courses in addition to courses in basic healthcare, hygiene and sanitation, pharmacology, drug usage, sociology and psychology. Students enrolled in a four year bachelor’s degree program obtain extensive instruction in biology, sociology, social work and psychology. Students interested in further education can go on to obtain a master’s or doctorate (Ph. D.) degree, which focuses more on field work and research. Specializations in these programs include healthcare administration, social work, family services, sociology, psychology or geriatrics. There is a vast number of career opportunities available in the fields of Gerontology and Geriatrics. Have a look at the following occupations and their related growths. All data has been taken from the US Bureau of Labor Statistics. After graduating with a degree in geriatrics and gerontology, people can explore a variety of exciting career options. According to the Bureau of Labor Statistics, the number of elderly people in the United States will be at its highest over the next decade, and will continue to grow. This will ensure a sustained growth in careers in geriatrics and gerontology, which are expected to increase by 20% through 2020. From entry level positions in nursing homes and clinics to positions in large hospitals, social welfare organizations, charity organizations and government bodies – hundreds of career opportunities are available in geriatrics and gerontology. Latest research indicates average starting salaries at $76,000 per year, which increase to more than $200,000 per year for experienced professionals. While fields such as marketing and business administration become over-saturated due to an ample supply of graduates, the field of geriatrics and gerontology is set to guarantee a rewarding career with excellent advancement opportunities. Q:What kind of Gerontology jobs around the world are available? A:As gerontology is a social science, most jobs around the world in this field are academic or research based. You can find work at a number of universities that teach the subject while there are also many research based jobs available to people with degrees in gerontology. Q:What kind of careers in geriatrics can I expect? A:There is a lot of potential for anyone willing to invest in a career in geriatrics. These professionals are required to work with medical conditions that are common amongst the elderly. The Bureau of Labor and Statistics estimates an increase of more than 20% for this profession till the year 2018. These professionals are usually required to work in care homes for the elderly. Prospective students interested in this profession are advised to search our website for a list of institutions. Q:My search for career in geriatrics mentioned distance learning programs. What benefits are associated with this education? A:Distance learning programs would be mentioned when searching for career in geriatrics. These educational programs are specifically designed to help students continue their education while being employed. Students get an opportunity to study at the own pace and convenience. The curriculum for these programs is extensive with every aspect of the subject discussed in detail. Online educational programs are comparatively inexpensive with students saving on travel and accommodation. Prospective students interested in online education are advised to search our website for an extensive list of accredited institutions. Q:What kind of Degrees In The Geriatric Field are offered to students? A:Geriatric field of health care is a rapidly growing sector. The increasing number of old aged people has increased the value of geriatrics degree programs. Some of the most common degree programs in this field are: bachelor degree in healthcare geriatrics, master's degree in geriatrics, doctoral degrees in geriatrics, and a number of diploma and certification programs in this area. Q:Can you name a few courses I will study in Geriatric Degree Programs? A:Geriatric Degree Programs focus on elderly patient care and social services. Students enrolled in these programs learn how to plan, coordinate, and provide services to elderly patients. Some of the main subjects covered in this area include the following: interpersonal communication, financial management, ethical issues, the ageing process, diseases and age, fundamentals of geriatric care, and institutions for the elderly. Q:Do gerontology careers have any bright future? A:The ageing population in the United States is expected to grow in the coming years. This will directly impact of gerontologists and healthcare professionals. You can look forwarding to a rewarding career in the field of gerontology. It is important that you have the right degree and skills for such careers. Q:While searching for a gerontology degree job, I came across the job description of these professionals. Can you name a few job duties of gerontologists? A:Gerontologists are professionals who study the ageing process of humans. They can be found working in all kinds of healthcare and educational settings. The job duties will depend upon the field a gerontologist works in. They may work alongside other physicians, dieticians, and medical practitioners, assisting in research and medicine. Q:While reading about geriatric nursing certification courses-nursing home training, I decided to enroll in this program. Are certifications useful? A:Certificate programs are highly valued in the job market. These are designed to certify individuals in certain occupations and fields. You can boost your skill set and also update your knowledge about the profession. Many working individuals move up the corporate ladder by enhancing their credentials and skills through certification programs. Q:What degree do I need to qualify for gerontology jobs? A:Gerontology is a branch of medical science that deals with disease prevention for aged individuals. 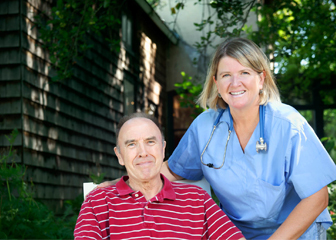 Gerontologists work at old homes and hospitals and provide healthcare services to such patients. To become a specialized gerontologist, it is necessary to earn at least a bachelor degree in this field. A master's degree can lead to better career opportunities. Q:What kind of jobs in geriatrics are available? A:Jobs in geriatrics depend on the degree that you pursue. As the subject is geared towards caring for the health of the aging patients so the jobs would be likewise. You can expect to work in nursing home, clinics, social welfare organizations as well as government agencies that work for the care of elderly people. Q:What is the outlook for jobs in the geriatric field? A:Jobs in the geriatric field seem to be increasing as more nursing clinics and social welfare organizations are focusing on providing better care to the elderly. According to the Bureau of Labor Statistics 20% growth in geriatric related careers is expected through 2020. This gives a promising picture for those interested in this field. Q:Can you give me some information about jobs in geriatric field? A:With the rise in the number of elderly people, the need for skilled gerontologists is on the rise in healthcare organizations. These specialists are certified to provide healthcare services to the elderly. From clinics to hospitals, and from old homes to home health centers, one can expect job opportunities in all kinds of institutions. Q:What factors affect careers in gerontology? A:If you wish to pursue a career in gerontology it is important that you acquire a geriatrics or gerontology degree from an accredited program. Accreditation enables you to acquire quality education and secures your career opportunities as well. Besides, you must gain relevant skills and experience, to have a competitive edge in the job market. Q:What careers in geriatrics and gerontology should I choose? A:The career you opt for will depend upon your area of interest. There are many different job positions in this field that caters to the healthcare needs of the aged. You can pursue a job as a geriatric care manager, geriatric nurse, or assistant. The job requirements are likely to vary from state to state. Take a look at our page for more information. Q:Why are geriatric medical careers considered as a good choice?